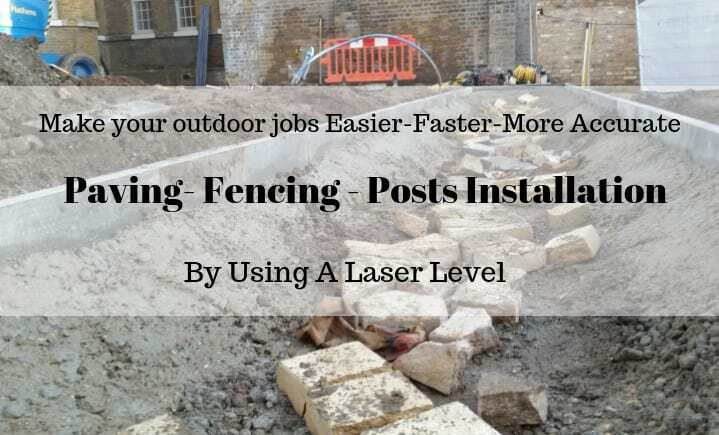 Home » What Is The Best Laser Level For General Outdoor Use In General? Last Updated On: 30.01.19 By Adrian B. So you are doing some work outdoors today or sometime soon? Brilliant … What is it? Fencing? Decking? Landscaping? 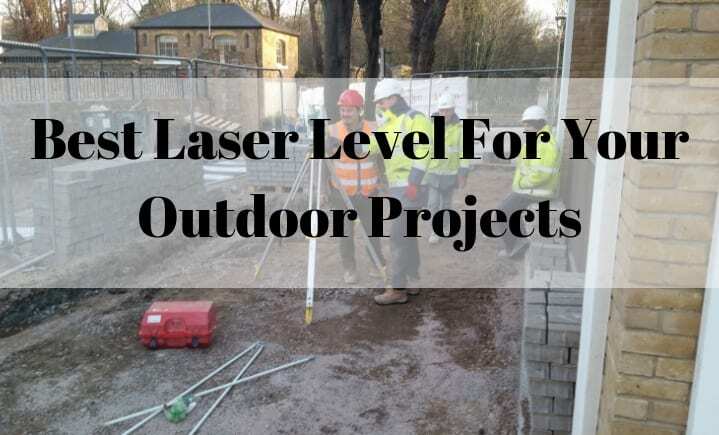 Whatever it is your project my ninja readers 🙂 I’d love to bring you today on this post a few laser levels that I believe to be the best laser levels for outdoor use for your DIY or professional projects. I strongly recommend using a green laser level if you planning to work outdoors on your next project. If you don’t already own a laser level go straight for a green beam one, like the ones I have put together for you today. But if you have already a laser tool and it projects red laser lines you might have some headaches trying to find the line, especially if it’s nice and sunny outside. … next, we’ll talk a little bit more about each one of the items individually. Let’s check out some reviews and features for these laser levels. Very impressive laser level. It has over 1000 reviews on Amazon, so that must mean something. Especially because this model hasn’t been on the market for that long. The DW089LG 12V MAX – 3 x 360 Laser features a 12V MAX Lithium-ion rechargeable battery and green beam laser technology, as well as an over-molded housing and IP65 debris and water resistance rating, which makes it the perfect tool for professionals in the construction and home-improvement industry. Over-molded housing and IP65 water/debris resistance. If you are doing tiling, this might not be the best for you. Check option #4 for that. The DeWalt DW0825LG. If you’re on the budget or you are a DIYer who doesn’t want to spend a lot of money on a laser level…check this one out! It comes FULL with crazy features. It will definatelly take your game to the next level. Perfect for all your DIY home-improvement tasks. EASY TO USE, fast to setup. Feel free to check out for yourself what other people are saying about this laser level. Click below! This Huepar 901CG professional laser level is a well-engineered laser device. The device is used not only by DIYers but by professionals like tilers, kitchen fitters, carpenters, etc as well. By the way, if you are a professional and need safety boots … here’s an article about work boots for contractors that might give you some ideas. The device is self-leveling but also has a manual mode which is activated once the pendulum is unlocked by switching slides to an unlocked position. Easy multifunctional mode – One button operation makes it easy to project lines together or individually (cross line, vertical and 360-degree horizontal). It has a durable design and it looks sturdy to ensure that you can rely on it in any working conditions. 2 Switchable full-time pulse modes – Default pulse mode is suitable for use indoors. For outdoor applications, you can switch to a secondary mode which provides a darker laser beam allowing for better visibility in bright conditions. When the pendulum lock is in the locked position, you can place the laser tool at various angles to project non-level straight lines. Eats a lot of batteries 🙂 It goes through batteries really fast. So be sure you have a replacement set of batteries in your toolbag. This is one of the very few 360 rotary laser levels that comes with the green beams technology. 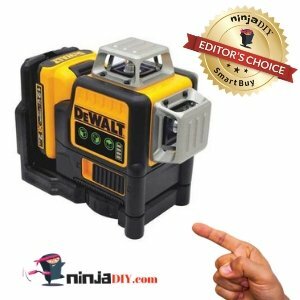 DeWalt likes to stay on top of their game and bring the latest technologies to you, the PRO or DIYer reading this article. It’s rugged so it won’t break easily on a construction site. It’s accurate and highly visible which will help you achieve the best results every time. Happy customers…more money into your pocket! Another great looking tool from DeWalt … this is a 360 rotary laser level. To be honest, this tool it’s a bit more limited than a regular rotational laser level like Leica, Topcon, Hilti … etc, but I decided to include this model on my list because I really believe you should go for a green laser level beam … not a red one. And many people are happy with this product from what I have seen on Amazon and other sites where people leave reviews. Here’s a link to the DeWalt DW079LG User’s Manual if you need to check out some more in-depth details. From my list, this is the easiest to use. Literally the 2 buttons you can see in the picture. That’s it. Great features that will make you love this tool. It’ll help you be more productive due to the rechargeable battery that will last you up to two days. 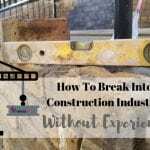 Are you afraid it’s not going to last on your construction site? Don’t be! This baby has an IP65 rating which means it’s resistant to water and debris. PLUS it has an over-molded housing that protects the laser in case it falls on the floor! Do you wanna know more? Click below! The DEWALT DW0825LG green cross line laser level is part of the 12V lithium-ion rechargeable power tool battery platform from DeWalt. DeWalt has created this line laser for extra long run time and the convenience of rechargeable power tool batteries. I like this tool very much because of the very smart idea that DeWalt came with for their next generation laser levels. And I’m talking about the 12v rechargeable battery. A game charger. Self-leveling cross lines that project both horizontal and vertical lines. It features green beam laser technology which is four times easier to see that the red laser beams. Magnetic bracket integrated, which allow attaching the device to metal track and steel. Good protection with an over-molded housing and IP65 water/debris resistance. This is the second 3×60 green laser level for my list. It’s CHEAPER than the Dewalt of course, and the quality doesn’t disappoint. Just like the others above mentioned, the Huepar 3D- GF360G comes with a TON of great features. Basically, you get the most up to date technology as the big brands … but for less money! Check out what other PROS and DIYers are saying about this tool. Click Below! This laser level is full packed of features as well, and to be honest, this one could be my second option after the DeWalt mentioned above. Or, maybe you liked the DeWalt but don’t have the budget?! Well, go for this one … I’ve heard professionals and DIYers talking good about this tool. There you have it, ninjas. My TOP 5 best laser levels for outdoor uses. If you want to see more laser tools check out this article where I include an amazing buying guide to help you out making a decision. … I strongly believe you’ll be better of using a green laser level than the normal red laser beam level device. 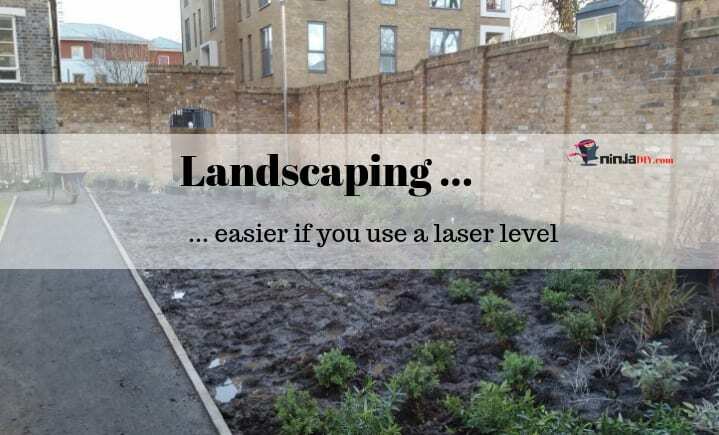 And remember: it doesn’t matter how good a laser level is, when you are working outside, on a sunny beautiful day … you won’t be able to see the laser line at great distances. You might have to use a rod with a laser detector/receiver or a reading card. Please let me know in the comments below if this article was useful in any way! I’d love to hear from you and if you need any more info or tips, again, drop me a comment and I’ll do my best to assist you!